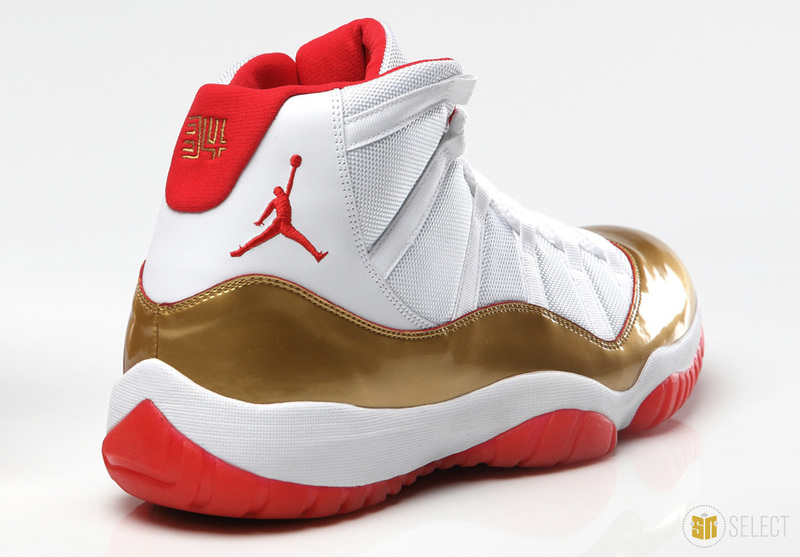 Following an earlier look, the Jordan Brand has released official shots of the 'Two Rings' Air Jordan 11 PE that Ray Allen will be wearing in the Ring Night opener. 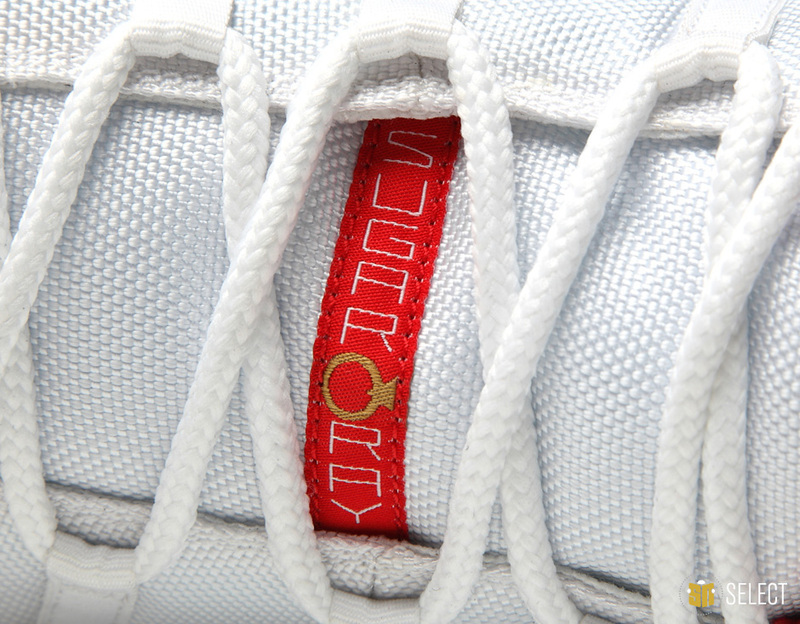 Following a pattern established with Ray's Celtics championship PE, the shoe features a clean white leather and cordura base and metallic gold overlay. 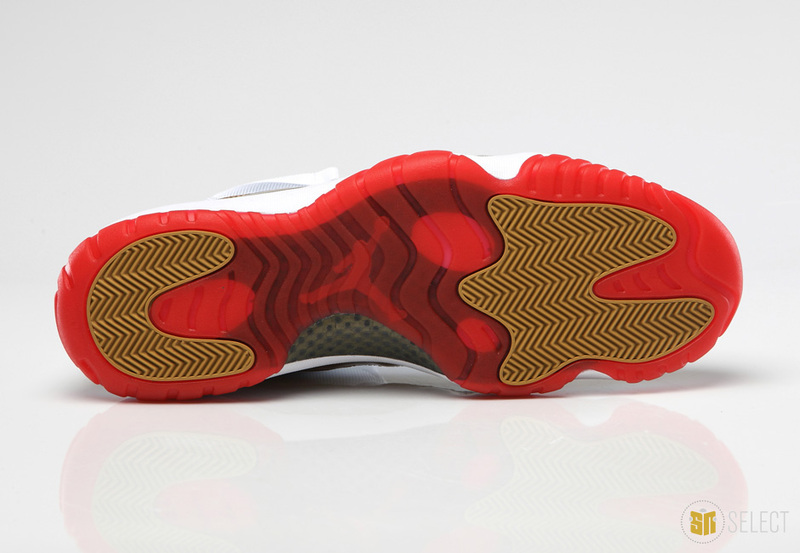 Various logos, the inner lining, Jumpman branding and the outsole are all done in Miami red. 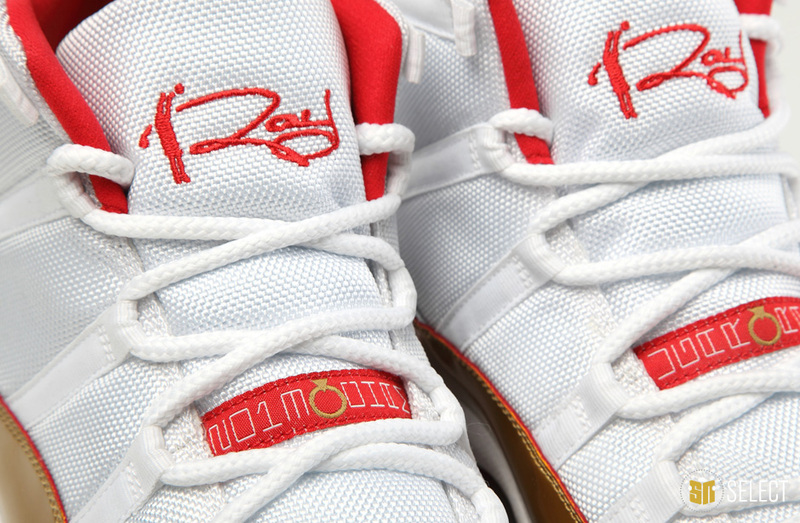 Additionally, there's a few special details that pay tribute to Ray's two championships. 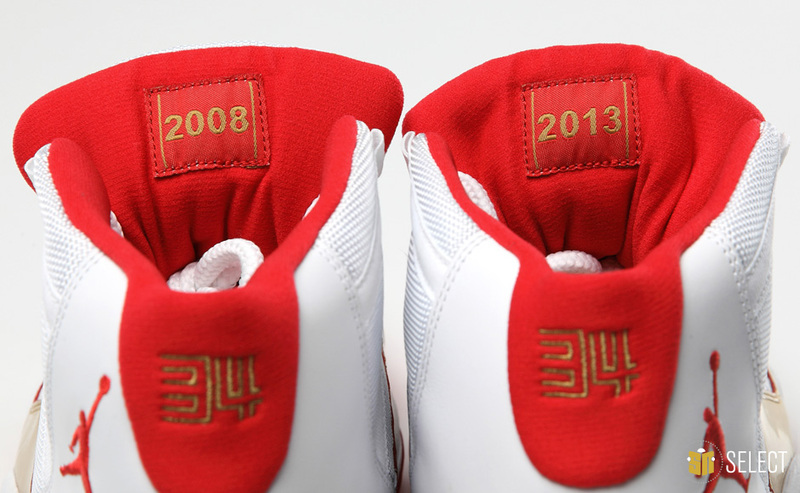 The tongue strips read '2013 CHAMP' and 'SUGAR RAY,' while the years 2008 and 2013 are stitchedto the backs of the tongues. 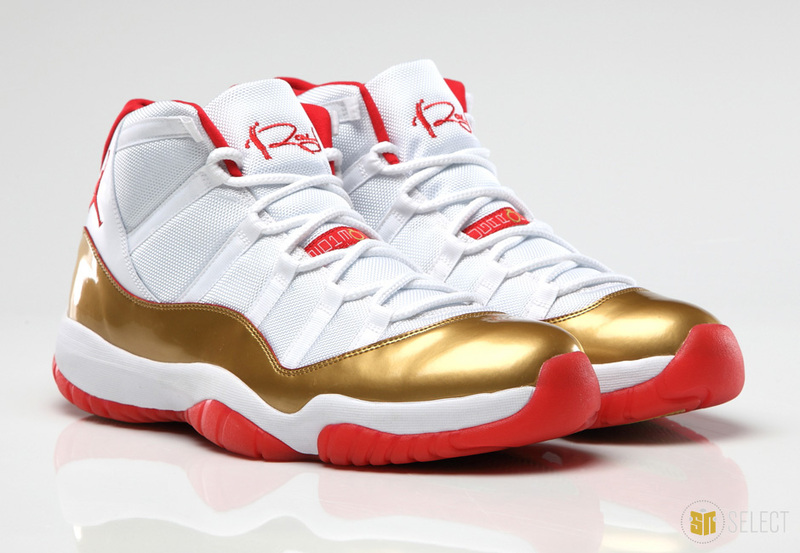 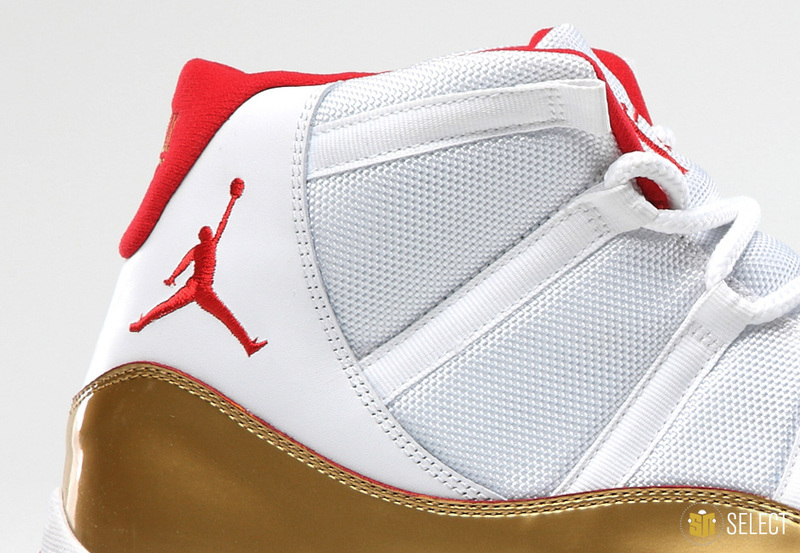 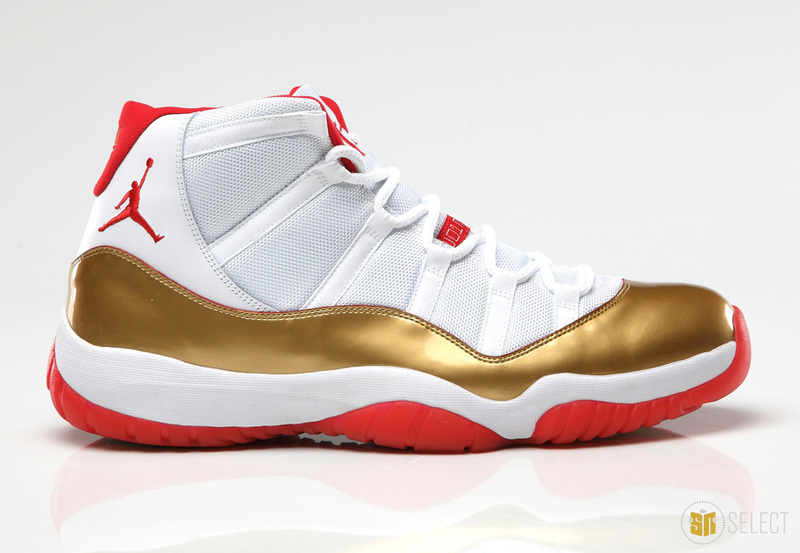 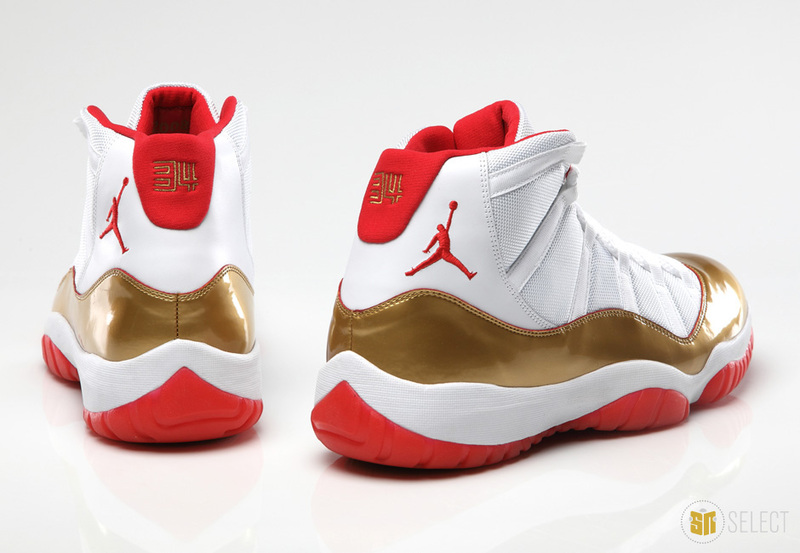 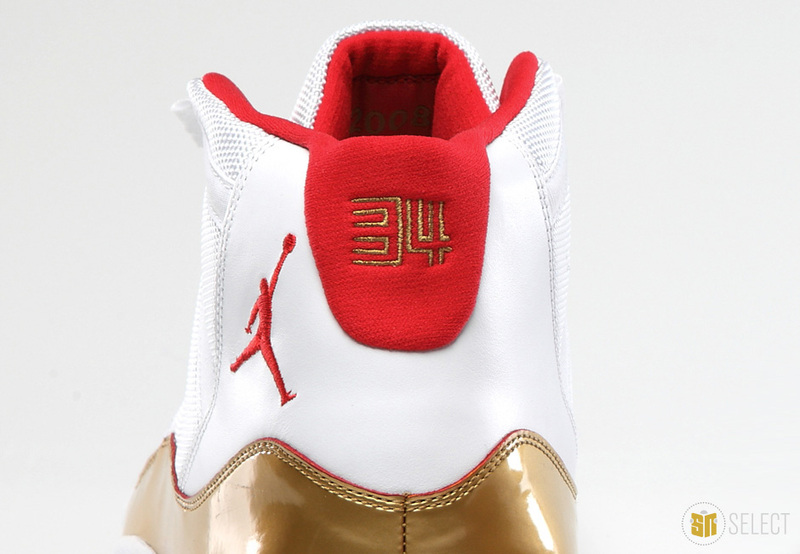 As is the case with many of Ray's PEs, these are just eye candy and won't be hitting retail. 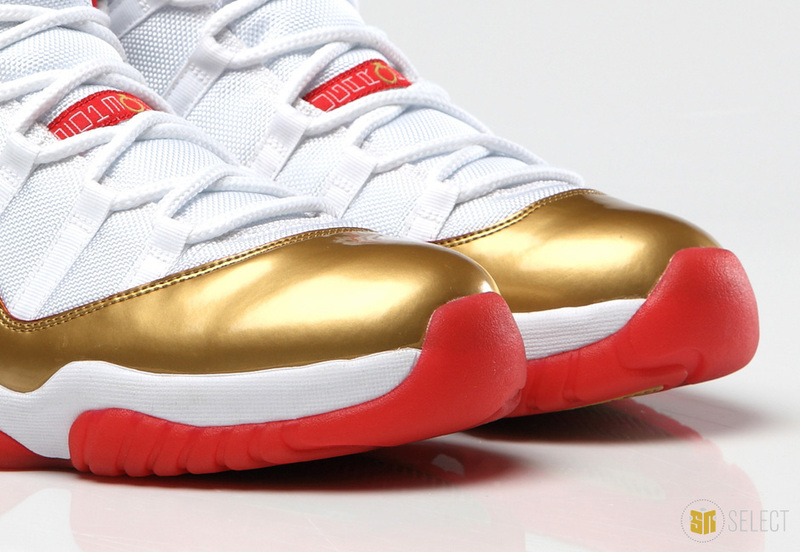 Read on for a detailed look.